Rickie Fowler closes in as he shot a sizzling 66, just 3 strokes behind third round leader Na. Motivated by the confidence he gained from his success, the 23 year old delivered a masterful round in tricky conditions. Last week, Fowler claimed his maiden victory on the US PGA Tour when he beat World Number One Rory McIlroy and D.A. Points in a play-off at the Wells Fargo Championship. 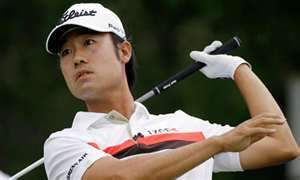 Na, 28, won his first PGA TOUR event last year. He’s tied for fifth twice this season, at the Waste Management Phoenix Open and the AT&T Pebble Beach National Pro-Am, and tied for fourth at the Arnold Palmer Invitational presented by MasterCard. He ranks 15th in driving accuracy and has taken just 24 putts in each of his rounds this week. Luke Donald looked the more likely of the two Englishmen battling for a chance to move to the summit of the World Golf Rankings. Donald and Lee Westwood both started on three under, but while the former stayed on the same score, the latter had slipped to one under through 14. Westwood needs to emerge victorious and hope Donald does not finish runner-up, while his playing partner requires a top four finish. Phil Mickelson is four under while Tiger Woods two under after three rounds.